Last edit: 6 years 1 month ago by Pk101. I don't mind them sorting out the "DANGER" section, as the middle part was (so I have been told) not only very dangerous to cross anyway, but unrideable, and the alternative was to carry one's bike up and over the stairs, then come down on the other side. I do think this was an area needing attention. But yes, obviously I'd rather they don't dumb down what may already be rather easy parts. Im concerned it will dumb down the easy parts and neglect more pressing areas needing attention. The last time I, I mean, someone I know visited the "DANGER" section (late 2011) it was apparently much easier to cross than the first time that person visited it (mid-2010). Looks like the AFCD want to sort out Tai Lam first. As for Ho Pui, technically the new trail from Twisk is part of it... as for the rest of Ho Pui, I guess that will have to wait at least until after the new trail is opened? Ive noticed repair work and what looks like the start of improvements to the Tai Lam resevoir trail. A few weeks ago the landslip halfway into the trail has been filled and anchored with large rocks and "Danger" signed removed. It seems AFCD has started another round of works, today I saw roots being covered by soil near the steps close to the road. 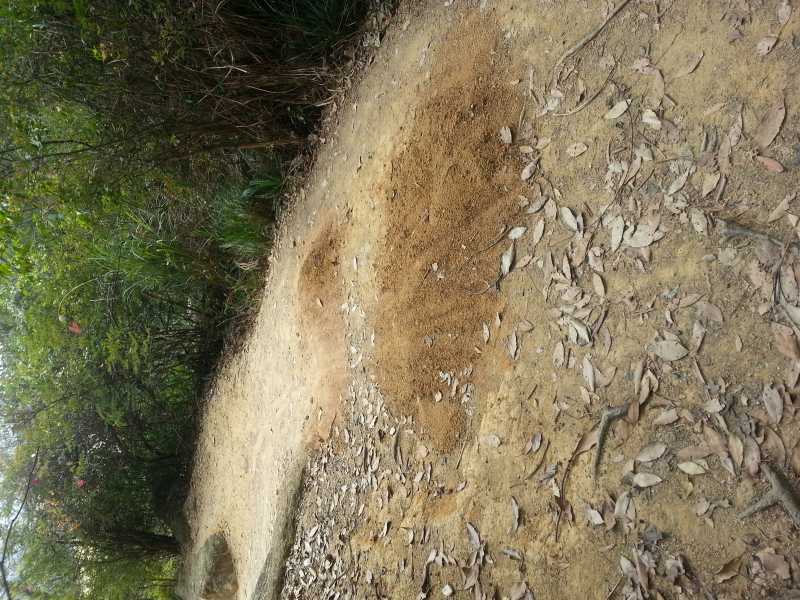 Anybody noticed anything else in Tai Lam Country Park, anything on Ho Pui trail? Has AFCD released any news/updates?